We have been so lucky to spend the past 2 days having some quality family time. 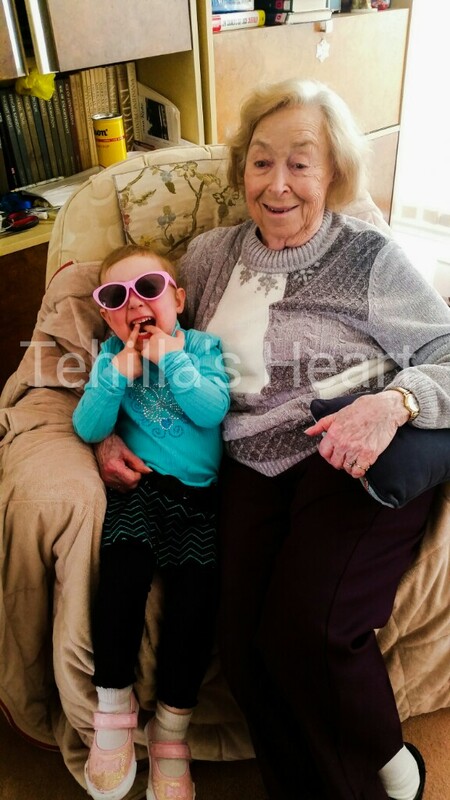 Here is Tehilla with Great-Grandma. I can't believe what a big blessing it is to see the two of them together. Thank G-d.
Wow, Yes this is such a Blessing. Baruch HaShem!!!!! Yes this is so good. What a joy it must be seeing them enjoying time together!!! !